Boeing decided to stretch the 737-7 by two seat rows and added major elements of the 737-8. 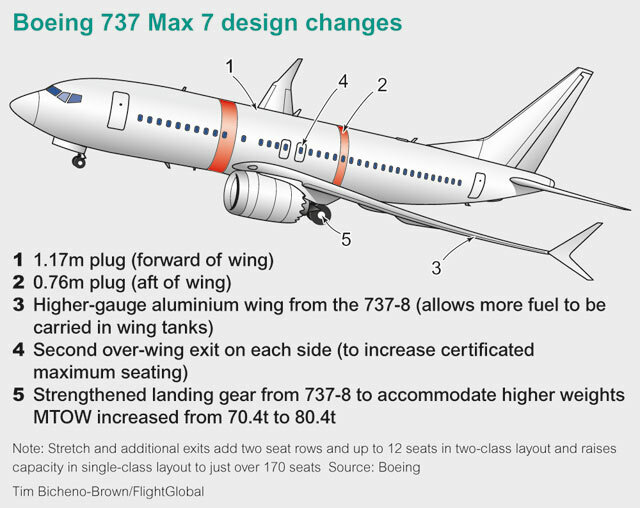 It is the first major tweak to the 737 Max line-up in more than five years after launching the program. In a sign of the shifting dynamics in the single-aisle market, the 737-7 has attracted just 60 aircraft orders from three customers. It gives the formerly 126 seat variant less than 2% of the overall backlog for the three member 737 Max family. The original of the aircraft, the 737-300 Classic, outsold two larger sister variants by a wide margin. In an overall market segment from 120-240 seats with more thanks 8,000 aircraft on backlog; a total order book of 465 aircraft on firm order does not appear encouraging. The 465 aircraft on firm order includes the A319neo. In the end, Boeing decided to stretch the 737-7 by two seat rows and added major elements of the 737-8. Boeing does not expect the addition of up to 12 more seats in a typical two class seating configuration to significantly drive new demand into the low end of the single-aisle sector. The move appears to be driven to satisfy new requirements imposed by the two 737-7’s two largest customers, namely Southwest and WestJet. “We have now assessed the market. The customers have said that the bigger airplane is something we would like with that range,” says Keith Leverkuhn, vice-president and general manager for the 737. The 737-7 and 737-8 share the same wingspan, but the latter has a thicker wing that can carry more fuel. The modified 737-7 wing will have more fuel capacity to compensate for the greater weight of the lengthened fuselage and add 500 nm more range”, says Leverhuhn. The fuselage itself is lengthened by 1.17 m (46 in) forward of the wing and 76 cm aft of the wing, he says. The maximum take-off weight rises from 70,300kg (155,000 lb) requiring the use of the strengthened landing gear of the 737-8. 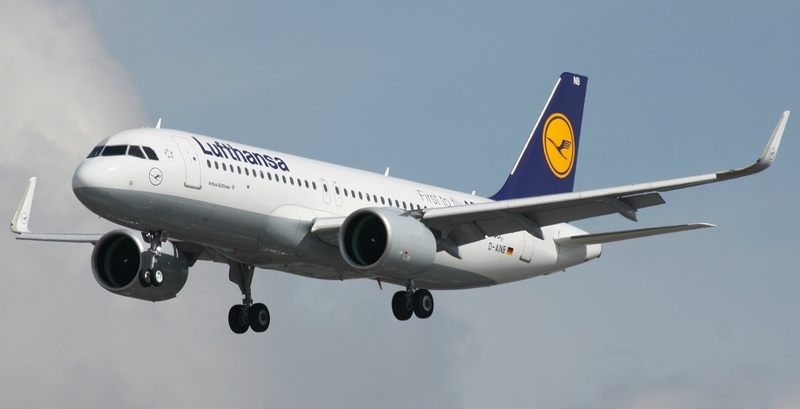 Airbus stated that the delivery of the revamped Pratt and Whitney PW 1100G is imminent by the time this report is out for distribution Lufthansa is supposed to have received the first A320neo with the revamped engine. Deliveries have been held up by efforts to correct engine start-up times, as well as other minor technical issues, leaving Airbus with some 25 undelivered A320neos at its production sites. Airbus Group chief Tom Enders, speaking as the airframe disclosed its first-half results, said the first upgraded ”golden engine” would be delivered to the German flag-carrier Lufthansa. P&W parent United Technologies’ chief Greg Hayes, speaking during a briefing on July 26th, said the technical problems were “in the rear-view mirror” and that the manufacturer was “exactly” aligned with the production plan submitted to Airbus earlier this year. He says the geared turbofan power plant, which also powers the Bombardier CSeries, Mitsubishi Aircraft MRJ and other types, has accumulated 5,000 hrs in service with four operators, with a 99.8% dispatch reliability. Hayes says the engine is “meeting commitments” on fuel-burn, noise and emission levels. The manufacturer expects to build 140 geared-turbofans engines in the second half of 2016, having produced 60 in the first half of 2016, with 36 delivered to various aircraft platforms to meet a target of 200 for the year. Airbus has also just started delivering A320neos with the rival CFM International Leap-1A power plant,with the first going to Turkish carrier Pegasus Airlines. Embraer has no plans to rush the timeline for delivering the first E190-E2 regional jet, even though the flight test program remains ahead of schedule. The first flying prototype made a debut appearance at the Farnborough air show only after six weeks after achieving first flight. The second E190-E2 entered the flight test campaign on July 8th, and the overall program so far has consumed less of the buffer the company built into the schedule,says Luis Carlos Affonso, senior vice-president of operations and chief operating officer for Embraer’s Commercial Aviation unit. Embraer will not accelerate the delivery schedule of the first E190-E2, even if the program stays ahead of schedule, Affonso says. The company will focus on increasing the maturity of the new technologies packed into the E190-E2, including the Embraer developed fly-by-wire control system and Pratt & Whitney PW1900G geared turbofan engines. 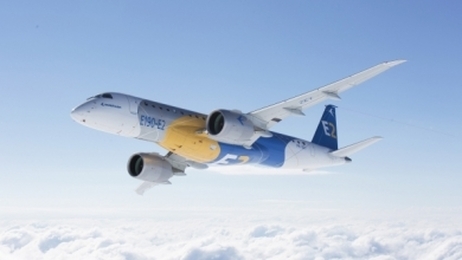 Though summarized often as re-engining project,the E2 version of the E-Jet is a bold project. In addition to the engines, Embraer is installing a new, high-aspect ratio wing, re-inventing the flight control system and tweaking the cross section. “ It’s not a re-engining. It’s a new plane,” Affonso says. The Caribbean carrier, a longtime Boeing customer, will replace four 737-300s that are approaching 25 year of age. The new aircraft, which will come from lessor Air Lease Corp (ALC), will begin arriving in December 2018 through 2020. After retiring the -300s, “the logical progression would have been to go to 737 NGs,” Cayman Airways’ president and CEO Fabian Whorms said, but the lease structure put together by ALC swayed them to go with the newer design. The leases will be run for a minimum of nine years. Going from a -300 to a MAX8 will save the airline 20% in fuel costs alone. ”In fact, it will be more than that,” Whorms said. The MAX’s will also be able to carry 40 more passengers than the existing aircraft and their faster cruising speed will save 15-20 minutes on the four hour flight to New York. 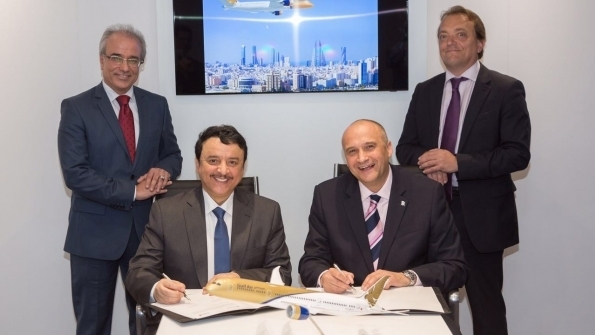 Bahrain-based Gulf Air selected the Rolls-Royce Trent 1000 engine to power its Boeing 787-9s in a deal valued at $900 million. Gulf Air announced in January that it is ordering 16 787-9s. The contract with Rolls covers Trent 1000 engines to power 10 787-9s, plus options for additional Trent 1000s to power six more 787-9s. The agreement also includes long-term service support by Rolls-Royce. American Airlines has deferred the deliveries of all the 22 Airbus A350-900s on order. It is working to reduce its capital expenditures and manage capacity through 2018. The Fort Worth-based carrier will take its first A350 in late 2018 instead of the spring of 2017, American said in a quarterly financial report. Deliveries will continue through 2022, two years later than originally scheduled with an average deferral of 26 months. American will take two A350s in 2018, five in both 2019 and 2020, the remaining ten in 2021 and 2022, the filing shows. It previously planned to take four in 2017, ten in 2018, six in 2019 and two in 2020. The deferral will reduce capital expenditures in 2017 and 2018 and provide capacity flexibility, the airline says. Aircraft capital commitments are $4.06 billion in 2017 and $2.2 billion in 2018, the filing shows. This is down from $4.58 billion and $2.89 billion, respectively, that American reported in April. Herous-Devtek Canadian supplier has completed its first set of 777-300 ER main landing gear for delivery to Boeing, ahead of its contract to make the 777X main landing gear. Azerbaijan Airlines is considering buying 10 Boeing 737 MAX aircraft, the carrier has announced. Tara Air the Nepalese regional carrier has signed a purchase agreement with Viking for three Twin Otter Series 400S. Kalstar Aviation, an Indonesian regional operator, signed a firm order for five E190-E2s. The value of the order has an estimated value of 582 million dollars. Arkia Airlines signed a letter of intent (LOI) for up to ten E195-E2 jets, consisting of six firm orders and four purchase rights. Porter Airlines, a Canadian regional airline, has signed a firm purchase agreement for three Bombardier Q 400s, valued at $93 million at list prices. Xiamen Airlines officially launched its first ever trans-Pacific flights to North America on July 25, using 787-8 aircraft. Thai Airways International first A350-900 has entered flight testing. 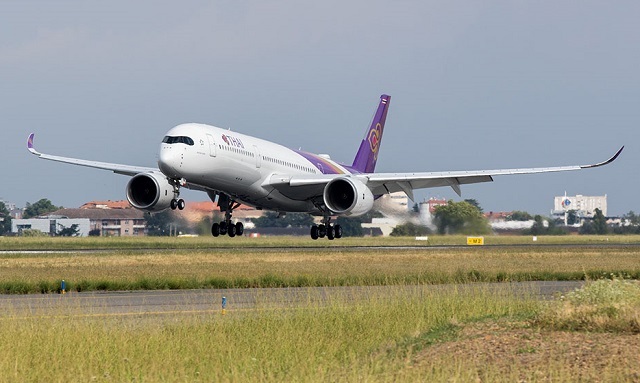 Thai Airways, which confirms the Rolls-Royce Trent XWB-powered jet has carried out its first flight. Thai has four of the type on order. 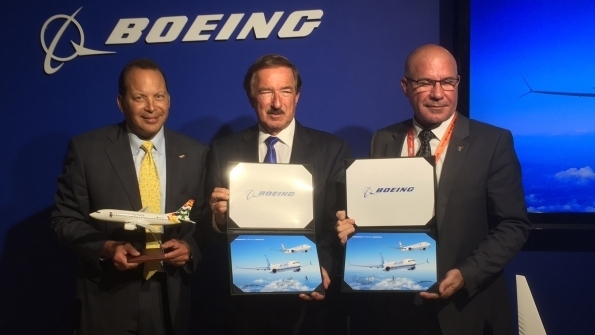 Fly Leasing has bought five Boeing aircraft. Three 787-8s were purchased in a sale and lease back transaction with a leading flag carrier. Avolon, the Irish lessor, delivered one Boeing 787-9 to China’s Hainan Airlines. This is the Fourth Avalon aircraft on lease to Hainan Airlines. Qatar Airways doubled its deal for Boeing 777-9Xs on Wednesday July 13th, firming a previous commitment for 50 aircraft and adding new purchases for an additional 50 of the wide bodies. Allegiant Air Las Vegas based airline has ordered 12 Airbus A320s from the airframe, in its first purchase of new aircraft. 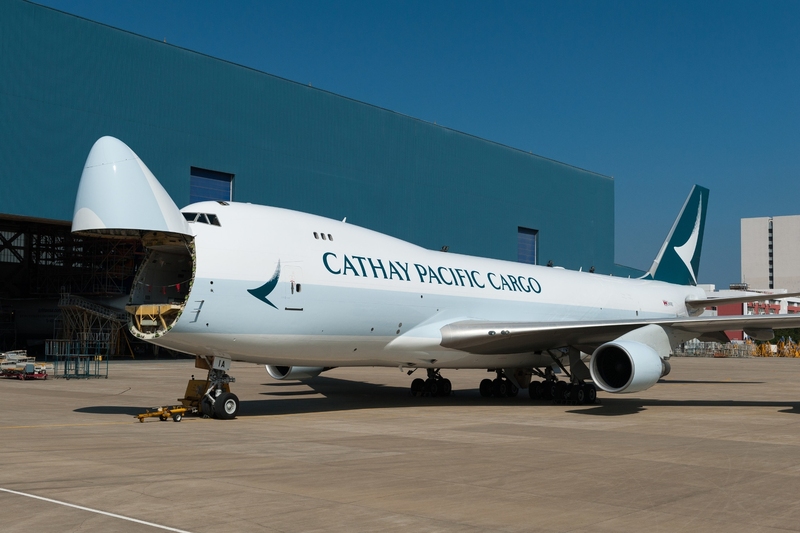 Cathay Pacific Airways announced an expansion of its freighter service in the Americas with the addition of a twice-weekly scheduled service to Portland International Airport (PDX). It will launch on November 3, 2016, subject to government approval. Portland will be Cathay Pacific’s 18th cargo station in the Americas. The new Portland service will operate on a Hong Kong-Anchorage-Los Angeles-Portland-Anchorage-Hong Kong routing every Thursday and Saturday. They will use Cathay Pacific’s newest and biggest freighter, the Boeing 747-8F. The Boeing 747-8F aircraft offers more cargo space to carry the anticipated high volumes of semi-finished foot ware and apparel, electronics and perishables from Portland and its catchment area into Asia. Portland is also one of the fastest-growing hubs for e-commerce related shipments in the Pacific Northwest region. Cathay Pacific was the first Asia Pacific airline to take delivery of the Boeing 747-8F in 2011 and currently has 13 of this type in its cargo fleet. The Boeing 747-8F employs innovative technologies to bring about significant improvements to the airline’s ultra-long-haul freighter services, particularly on North America routes,while reducing the environmental impact of its operations. “We could not be more pleased with the commitment byCathay Pacific to launch Portland-Hong Kong service this fall,” said Keith Leavitt, Port Chief Commercial Officer. 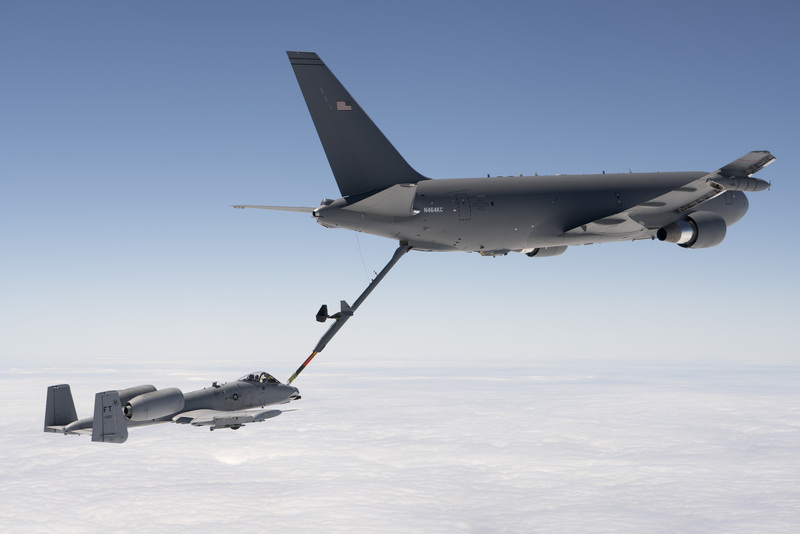 The KC-46 Pegasus program completed all flight tests required for the Milestone C production decision on July 15, offloading 1,500 pounds of fuel to an A-10 Thunderbolt II. The successful A-10 mission was the last of six in-flight refueling demonstrations required before the tanker program can request approval from Frank Kendall, the under secretary of defense for acquisition, technology and logistics, to award production Lots 1 and 2, totaling 19 KC-46A aircraft. “It is great to see the KC-46 boom back in action and the program moving forward to a production decision”, said Col. John Newberry, the KC-46 system program manager. The other five required air refueling demonstrations were the C-17 Globemaster III and F-16 Fighting Falcon using the air refueling boom. The Navy’s F-18 Hornet and AV-8B Harrier II were also using the centerline and wing drogue systems, and the KC-46 a receiver aircraft. This test would not have been possible without contributions from the 412th Test Wing, 23rd Fighter Wing, 355th FW, 124th FW, the 896th Test Support Squadron and 40th Flight Test squadron which all provided aircraft manpower and equipment. The milestone C decision to begin low-rate initial production is expected this month.